Yesterday we traveled off the beaten track. We visited the Ross Creek Giant Cedars. This area is a few miles of scenic and curvy road off of Montana highway 56. Being from Missouri and accustomed to seeing an occasional Cedartree 30 or 40 foot tall these were amazing. Many were over 100 feet tall or you can see in the photos below. These giant cedars are huge! 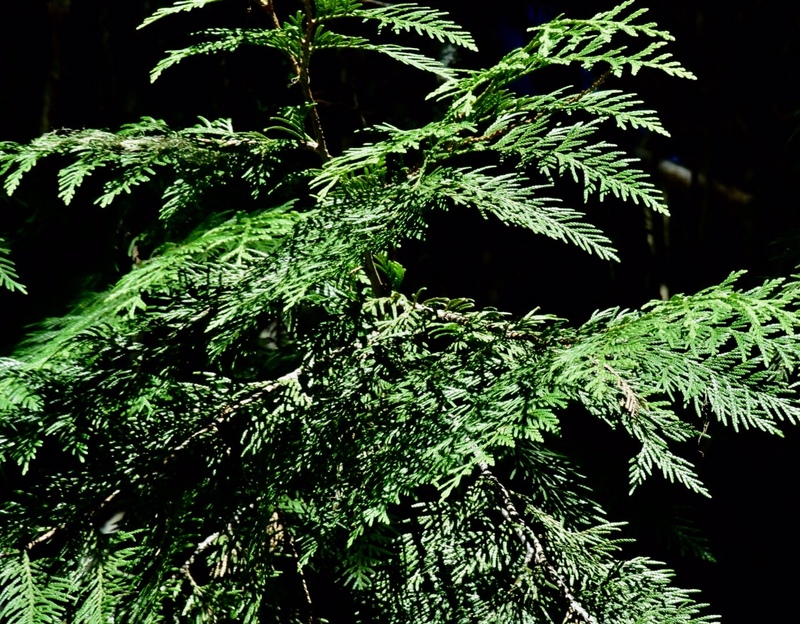 Below is an image of the foliage of a giant cedar. It is different than our cedars in the Ozarks.